We end our series of favourite items for the bathroom with some of the accessories which Bespoke Bathrooms likes best. The final touch in completing a bathroom are those beautiful objects we add into the mix which, like jewels, give us pleasure on a daily basis. The Universal range of bathroom accessories are cleverly designed to make it easy to combine the components to suit your specific needs. Use them as individual solutions or combine them with one another. 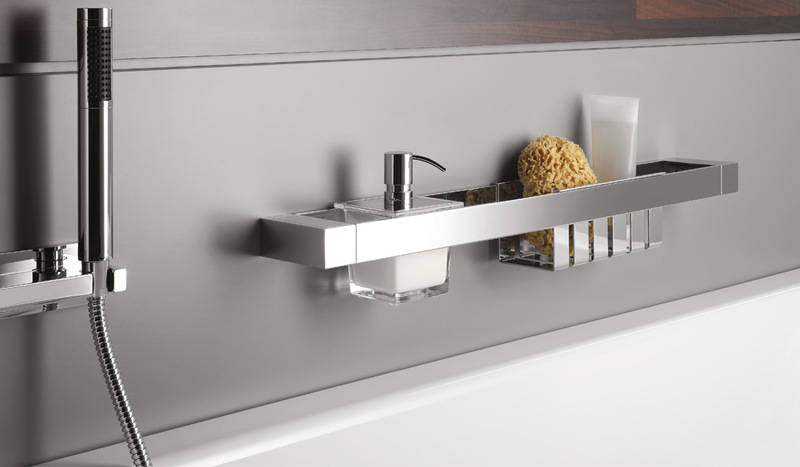 Thus, an element can either be used as a towel rack or, if used as a railing, can serve as an elegant shelf for other accessories such as a tooth brush tumbler or soap dish: it’s entirely up to you! The range also offers extra convenience: for example, the liquid soap dispenser is easy to use with just one hand, and its flat glass lid provides extra shelf space in bathrooms. The universal design, with its soft shapes and clean lines also blends seamlessly into a range of different style worlds. 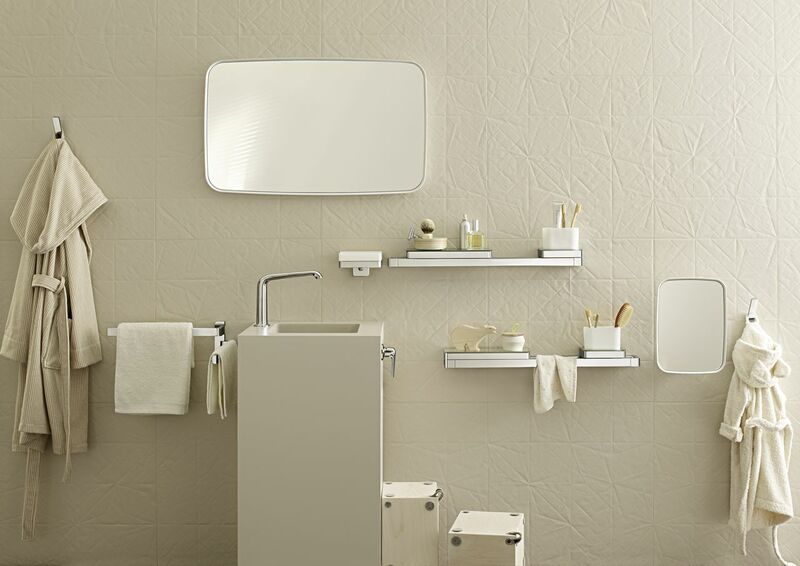 All accessories are made of high-quality materials: chrome-plated metal, mirror glass or white-coloured glass. These are hygienic, easy to clean and durable. This range of home accessories is made up of eight products, some of which have multiple uses. The design brief from German brand Authentics was that the forms be simple, easy to use and made from top quality materials. Gloss white ABS plastic was chosen for the bodies of the pieces, referring to the reflective ceramic tiles that are so often found in the bathroom. 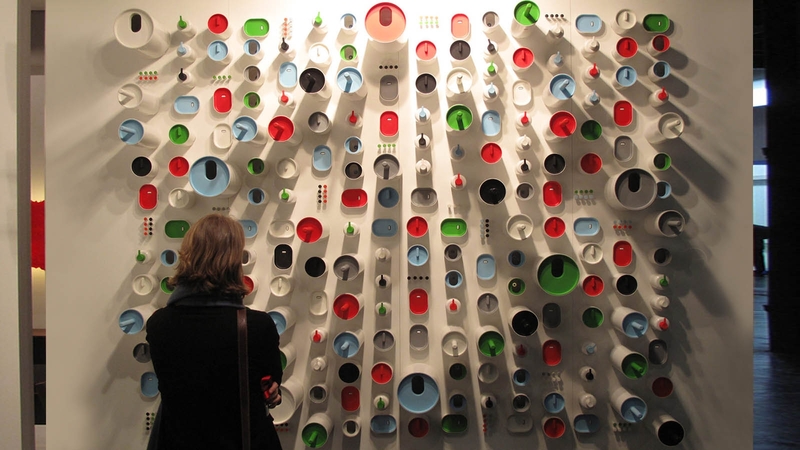 In contrast, brightly coloured, matt ABS was selected for the parts that people needed to touch: the lids and tops. Another classic, timeless and smart design by one of our favourite brands – the Danish Vola. 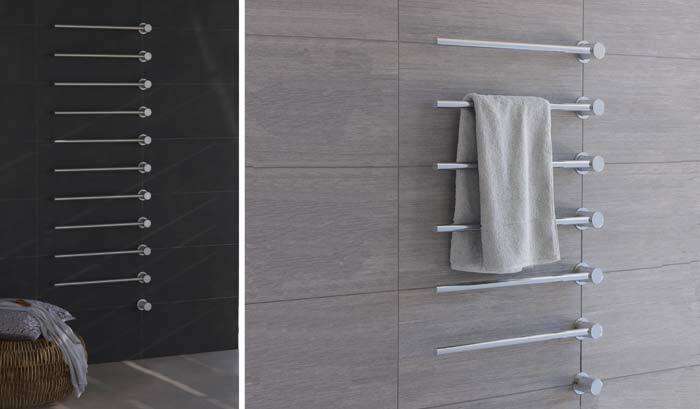 This built-in heated towel rail neatly hides all the messy working parts and is modular which means that the system of bars can be positioned according to personal requirements. And you get to choose how many bars you need. The bars are available in different finishes too. Another flexible range which caught our eye is Liaison by Emco Bad, a German company which has been developing and producing bathroom accessories for more than 50 years. The basic element is a strip rail which runs through the whole range. Four different lengths and seven freely combinable products mean an almost endless number of solutions for just about any function. The chunky rectangular bulk of the connecting element is combined with the circular shape of the holders. The range encapsulates all the qualities that are synonymous with Emco Bad: expert manufacturing quality and innovative function.